Merton encountered serendipity during the 1930s in the Oxford English Dictionary. From the entry he learnt that the word had been formed by Walpole "upon the title of the fairy tale, 'The Three Princes of Serendip,' the heroes of which 'were always making discoveries by accidents and sagacity, of things they were not in quest of.'" Merton was intrigued as this accorded with his theories on the importance of the unintended consequences of intended actions. Thus began the combined etymological and sociological quest that resulted in The Travels and Adventures of Serendipity. In a letter to Horace Mann dated January 28, 1754, Walpole described an heraldic discovery as "of that kind which I call Serendipity." He continued by revealing his succinct definition but then blurred it by providing an inadequate example from The Three Princes: "As their highnesses travelled, they were always making discoveries, by accident and sagacity, of things which they were not in quest of: for instance, one of them discovered that a mule blind of the right eye had travelled the same road lately, because the grass was eaten only on the left side, where it was worse than on the right - now do you understand serendipity?" As if anticipating a lack of understanding and realising that his example did not suit his definition, Walpole ventured to continue: "One of the most remarkable instances of this accidental sagacity (for you must observe that no discovery of a thing you are looking for comes under this description) was of my Lord Shaftsbury, who happening to dine at Lord Chancellor Clarendon's, found out the marriage of the Duke of York and Mrs. Hyde, by the respect with which her mother treated her at table." So it was that Walpole failed from the outset to illustrate satisfactorily the grand concept of serendipity. As the authors remark, "The complexity of meaning with which Walpole endowed serendipity...was permanently to enrich and to confuse its semantic history." Such history was a blank page for many decades as Walpole's word-child lay dormant until the 1833 publication of his correspondence, although the authors speculate that it may have been used in conversation during Walpole's lifetime. Serendipity reappeared in print only during the 1870s with the discussion of the word's etymology in the Oxford journal Notes and Queries. Hence the word was introduced to a small erudite group, many of them collectors like Walpole, who were familiar with the phenomenon of accidental and sagacious discovery. From the turn of the twentieth century serendipity gained acceptance for its aptness of meaning among a more diversified literary circle. Indeed, between 1909 and 1934 the word appeared in all the 'big' and medium-sized English and American dictionaries. As significant was its 1951 inclusion in the Concise Oxford English Dictionary, which reflected the increased likelihood of the casual reader encountering the word in its downward social percolation. In tracing the lexicographical history of the word the authors reveal disparities in definition - for instance some dictionaries overlook the "sagacity" aspect - and assumed characteristics, such as that serendipitous finds are necessarily valuable and made while looking for something else. This reviewer, although a language consultant to the Oxford English Dictionary, disagrees with the dictionary's definition, "the faculty of making happy and unexpected discoveries by accident," because it does not meet Walpole's prescription of a gift for discovery by accident and sagacity while in pursuit of something else. These ingredients are cumulative and all should be mentioned in the ideal dictionary definition. This deficiency, which has been duplicated in other dictionaries, has resulted in the belief that "accidental discovery" is synonymous with serendipity. Furthermore, the word happy is no substitute for sagacity. 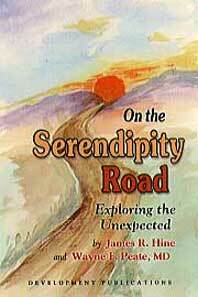 By 1958 serendipity had been used in print only 135 times. Merton assembles remarkable statistics in the afterword - written just prior to his death - to illustrate its rapid diffusion since. Serendipity appears in the titles of 57 books between 1958 and 2000 (one of these books, Frances Isaac's Strands of Serendipity, happens to lie on my desk at this moment. Furthermore, the word was used in newspapers 13,000 times during the 1990s and in 636,000 documents on the World Wide Web in 2001. The English-speaking world has gone overboard for the word. In 2000, The Boat Owners Association of the United States reported that Serendipity was the tenth most popular name for pleasure craft, and in the same year a poll at the London Festival of Literature revealed that serendipity headed a list of favourite words. Just as collectors are familiar with the phenomenon of serendipity, so too are lexicographers. Perhaps that's why they are fond of the word. Although tired of being asked "what's your favourite word?" a recent straw poll among the Oxford English Dictionary staff produced a list that includes buttle, delphinestrian, discombobulated, gazebo, lucubrate, mumpsimus, persiflage, twiffler, and, of course, serendipity. Along the way, as Merton laments: "Serendipity's initial unique and compendious meaning of a particular kind of complex phenomenon - the 'discovery of things unsought' or the experience of 'looking for one thing and finding another'- becomes ever more eroded as it becomes ever more popular. Ultimately the word becomes so variously employed in various socio-cultural strata as to become virtually vacuous. For many, it appears, the very sound of serendipity rather more than its metaphorical etymology takes hold so that at the extreme it is taken to mean little more than a Disney-like expression of pleasure, good feeling, joy, or happiness. For those who have consulted dictionaries for the word, its typical appearance between serenade and serene may bring a sense of tranquility and unruffled repose. In any case, no longer a niche-word filling a semantic gap, the vogue word became a vague word." So it is that in 1992 the word serendipity was emblazoned on the cover of a catalogue for women's underwear without further explanation. That in 1999 a review of the autobiography of Sir Alec Guinness drew attention to the actor's "serendipitous writing style (sly, witty, elegant)." That in 2001 the following was to be seen on the Internet: "Serendipity: When love feels like magic you call it destiny. When destiny has a sense of humour you call it serendipity." And that in 2002, again on the Internet, we find "Serendipity Airedales, home of the top winning Best in Show Airedale in the history of the breed." The demise of serendipity is no better illustrated than in Sri Lanka, where so many travel-related advertisements and guidebooks use the extremely tenuous association between the island and serendipity with varying degrees of ineptitude. No surprise that the magazine of the travel trade is called Serendipity. One guidebook has the word serendipity splashed across the back cover without further explanation. Another states: "Sri Lanka; serendipity: the two have long been considered synonymous." 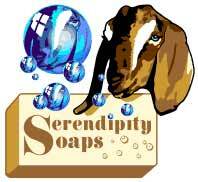 In similar vein, some advertisements speak fatuously of the country as the "land of serendipity." Then there is the in-flight magazine with a name not far removed from serendipity, which harps on the connotations of "tranquility and enjoyment." 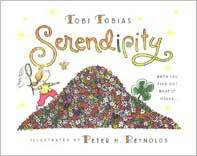 Serendipity has always been present in discovery: Colombus' discovery of America, Fleming's discovery of penicillin, and Nobel's discovery of dynamite, provide just a few examples. Later chapters trace serendipity's uneven embracement by science, which began in the 1930s when Walter Cannon of Harvard Medical School used the word to refer to the phenomenon of accidental discovery in scientific research. Then in March 1946 Merton unveiled his concept of the "serendipity pattern" in empirical research, "of observing an unanticipated, anomalous, and strategic datum, which becomes the occasion for developing a new theory." Thus Merton contributes to the history he charts. Although corporations such as Pfizer and Merck have subscribed to the serendipity pattern, demand for sustained progress in research often prevents scientists from having the autonomy to take the sidetracks that on occasion lead to the accidental discovery of new knowledge. Furthermore scientific findings are presented according to certain narrative conventions that obscure serendipity's vital role in the acquisition of new knowledge by providing the opportunity for discovery. The authors go on to demonstrate that the natural skepticism of science towards both new words and new theories has a social origin. Merton fails to reveal that his book is not without precedent due to the delay in publication, for in 1965 there appeared Serendipity and the Three Princes, edited by Theodore G. Remer, which covers much of the territory explored by Barber and himself. No doubt Remer's work will henceforth be overshadowed. Nevertheless it is more absolute as it contains the only direct English translation of The Three Princes. Conversely The Travels and Adventures of Serendipity shows signs of being incomplete due to its extraordinary gestation. The book is, however, redeemed by stringent scholarship and an elegant style. See also: "The Three Princes of Serendip" by Richard Boyle.